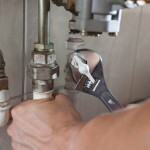 Commercial Drain Repair, Lakeland, FL | A Step Above Plumbing Inc. Commercial Drain Repair, Lakeland, FL | A Step Above Plumbing Inc. Whenever we work on commercial drain repair projects in Lakeland, FL, we are committed to exceeding customer expectations. We are proud members of the local business community in Lakeland, Florida and are committed to ensuring that everything at your business’ location runs smoothly. Whenever we work on commercial drain repair projects, we are committed to exceeding customer expectations and to making sure things are done right the first time.